Home/Compass Announces New Feature to Pull ERP Pricing into Sherpa! Compass Announces New Feature to Pull ERP Pricing into Sherpa! 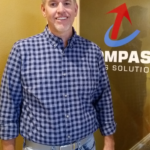 Boise, ID (June 2018) – Compass Sales Solutions, the industry leader in sales opportunity software, is excited to announce a new feature allowing dealerships the ability to pull item information, pricing, and product numbers directly from e-automate into Sherpa using EA Sync. Administrators will now have the option to easily maintain and update pricing in Sherpa using a direct link to their e-automate pricing. This feature will allow for a more streamlined process to help ensure accurate pricing data and product numbers between your e-automate and Sherpa databases. Using the EA Sync button in Sherpa’s Item Pricing provides the ability to import new equipment and pricing from e-automate directly into Sherpa, or to update existing items in Sherpa with changes made in e-automate. Customize your experience by selecting e-automate categories to include in your sync, excluding specific items from syncing, and using a bulk update tool to quickly set your outcost, special pricing levels, service rates, and more on your synced items in Sherpa. Once items are synced between e-automate and Sherpa, you can also update product numbers in Sherpa based on changes made in e-automate, saving time and work for administrators. “This is an exciting new feature we are looking forward to releasing to our customers as a free enhancement for e-automate users. We are always trying to make our software as user-friendly as possible, and this is going to allow dealers a more streamlined process for maintaining item information, pricing, and product numbers within Sherpa,” says Troy Casper, President of Compass Sales Solutions. This enhancement is available upon request by contacting support@compasscontact.net. If you are interested in learning more about this new feature and how it works, contact training@compasscontact.net. 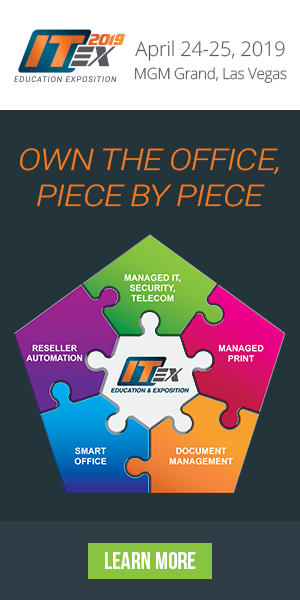 Since 2001, Compass Sales Solutions has been the leading sales force automation provider for the office technology industry in 8 countries with over 13,000 users. Compass Sherpa provides a comprehensive suite that automates all aspects of the sales process and allows your sales professionals to utilize one tool to manage their sales goals completely. This includes prospect/client identification, Outlook integration, product configuration, proposal generation, MPS analysis and mapping, ERP integration, and mobile access via smartphones and tablets. Compass Sherpa will be the tool your team will want to use, not have to use. Troy Casper – Compass Sales Solutions, President • 25 plus Years in the Industry • Started as territory Sales Rep, promoted to Management • Owner of Printer company specializing in selling HP cost per print programs • Sold MPS solutions back in 1997 • Full understanding of Cost per page programs from financials to presentation • MFS and MPS consultant • Founder of Compass Sales Solutions • Initial Developer and Programmer Compass software products Troy Casper has 25 plus years of industry experience and is currently the President of Compass Sales Solutions, a company who specializes in Sales Force Automation, Solution Selling, Fleet Management, TCO Analysis and Proposal Generation. Expert Strategist on MPS, Business Assessments and CRM, who has spoken at all of the industry’s largest conferences such as ITEX, CDA, BPCA, SDG and Major Manufactures including Sharp, Lexmark and Kyocera, as well as ERP companies such as E-Automate, OMD and Nextgen.